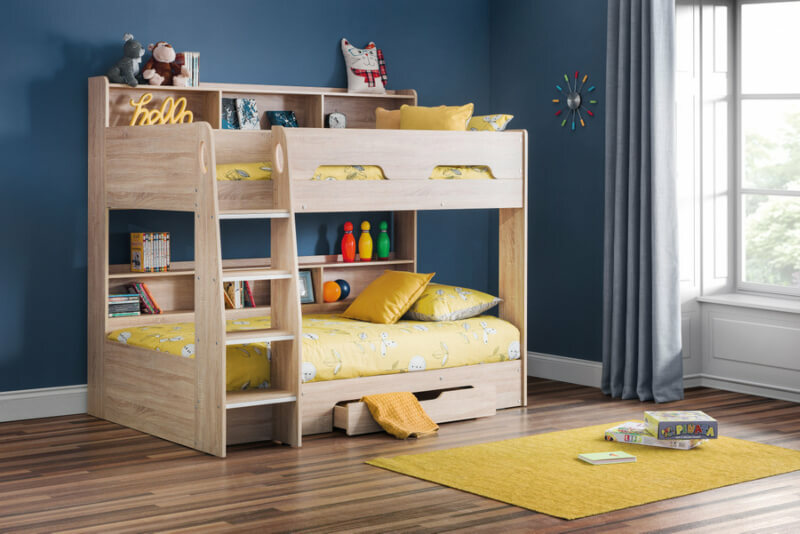 The ultimate space saving solution for your children's bedroom with an attractive modern design. 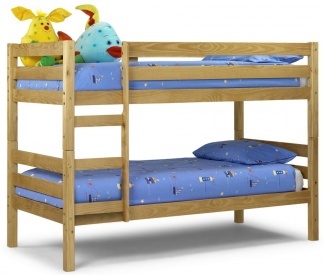 Bottom bunk is ideal for smaller children as the bunk is positioned close to the ground. 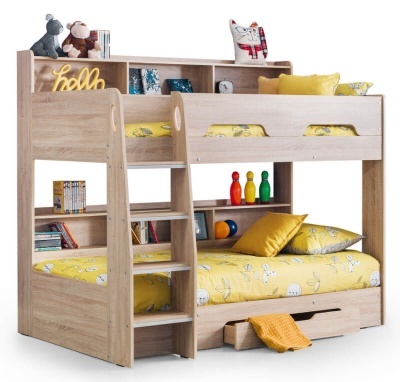 The top bunk with the robust ladder is perfect for children aged six or over. Attractive cut-out handles and optional glow in the dark strips makes climbing in and out easier. 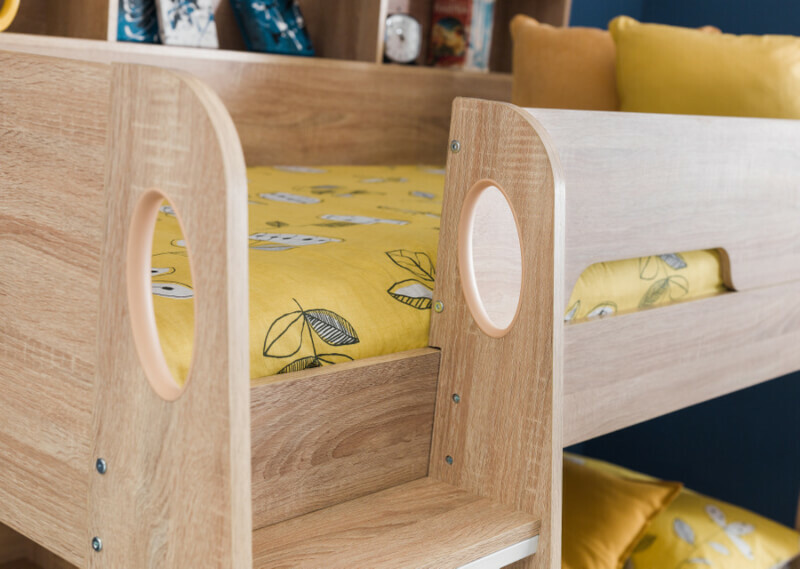 Each bunk has extensive shelving, enabling your children to keep books and their treasured possessions close by. 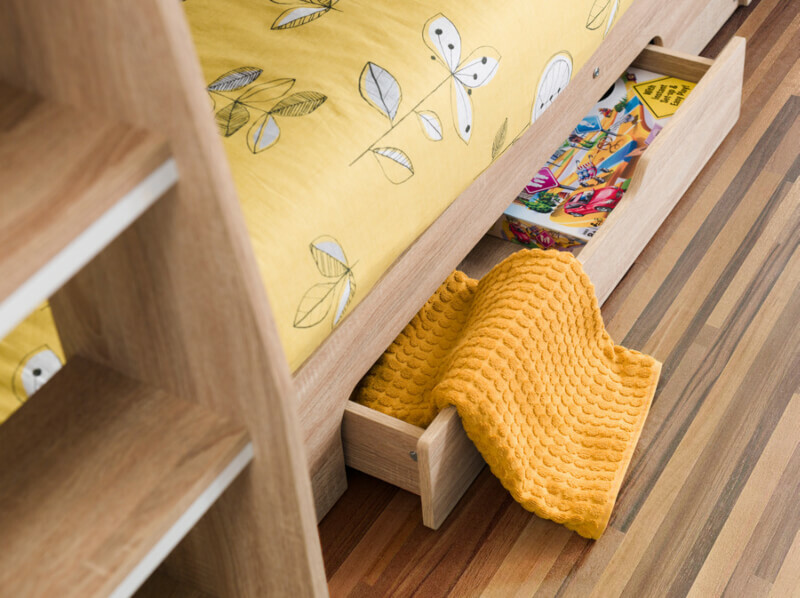 Space saving design a handy pull out drawer has been included in the bottom bunk. 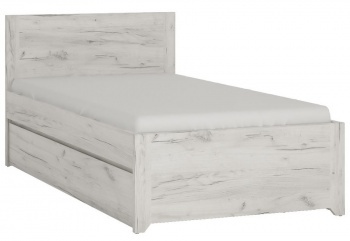 Solid slatted base provides extra support and comfort. Easy to keep clean, just wipe with a slightly damp cloth. 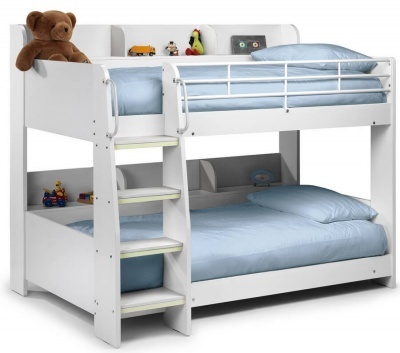 Available as the bunk bed only or with the Premier or Platinum mattresses. Premier mattress: Made in the UK. 13.5 gauge bonnell spring unit, plastic edge side supports, 900 gsm spring insulator, 270 gsm polyester filing, Belgium damask quilted cover. 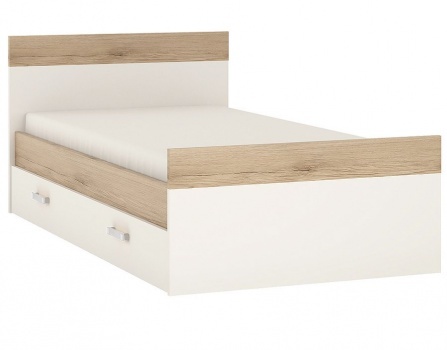 Platinum mattress: Made in the UK. Low profile 13.5 gauge bonnell spring unit, rod edge supports, 900 gsm spring insulator, 500 gsm polyester filling, Belgium quilted cover. Quilted border. Medium firm comfort. The Orion bunk bed is predominately constructed from coated particleboard. 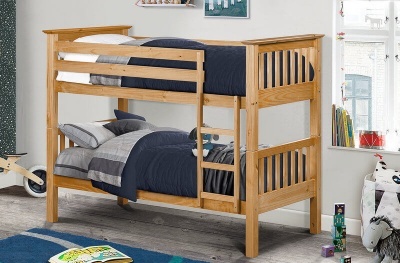 Bunk bed delivered in four boxes. 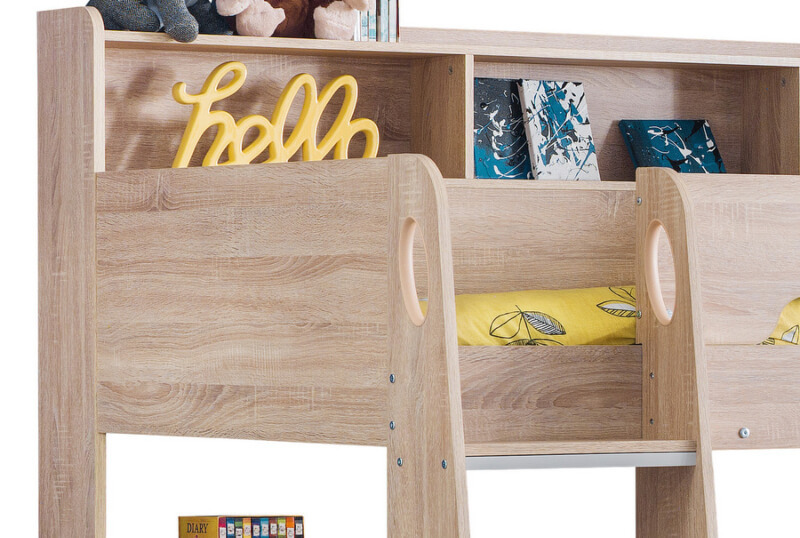 Part of our collection of children`s sleeping solutions.